The English language version of public broadcaster Deutsche Welle (DW) reports the latest on the unavoidable and what many critics are calling as long overdue reforms of Germany’s renewable energies feed in act (EEG) as the country reels from extremely high costs and daunting technical challenges. Pulling the reins on Germany’s wildly fluctuating sun and wind energies. Wind and solar production in Germany, May, 2016: Chart: Agora. Germany’s mad rush into renewable energies has led to huge spiraling electricity price increases and left power grid operators struggling to keep the wildly fluctuating system form crashing. As the situation became increasingly precarious, the government was forced to admit that reforms were necessary to keep the situation from spiraling out of control, and thus recently agreed on a major reform of subsidies for renewable energies. The new rules amount to a major reform of the Renewable Energy Law of 2000 (EEG in German)”. So far Germany has committed hundreds of billions of euros in renewable electricity. Yet even today electricity from renewable sources barely represents a tiny fraction of Germany’s total primary energy needs, casting into question of whether it makes any sense. The overall theoretical impact on global temperature will be only a few hundredths of a degree Celsius by the year 2100. The government also will limit the installation of new wind farms. Last year alone grid operators had to pay a billion euros for wind power capacity that went unused, the DW reports. This new rule has led to howls from the wind energy industry and its backers, who say that nuclear and fossil fuel generated electricity utilities are to blame for the grid fluctuation problems. Moreover green energy proponents claim that the new rules put Germany’s climate targets for rapid reductions in carbon dioxide emissions “into serious jeopardy“. The politicians are still not acting responsibly. What they need to do is snap out of their “global warming”/”climate change” delusion altogether. There is no valid climate science, so there can be no rational climate policy–or energy policy linked to climate–now. Obviously he has no idea about electricity generation and thinks it is like water where you can turn a tap on and off. And he can’t read a pie chart either, as it shows wind and solar increasing but coal fired only decreasing 1%; it is the lower emission but more expensive methods that are being pushed out of the market. Good luck to the Government trying to get him to see sense. But Graeme, the article specifically states he’s their energy expert so he must know more about electricity systems than other Greens. So suddenly they find a solution. Filthy thieves. O/T but couldn’t get it to post elsewhere. but I am sure it will be in other newspapers e.g. The Times. The researchers analysed 19 international studies involving 68,094 elderly people and found that in 92 per cent of cases LDL cholesterol — low-density lipoprotein, or bad cholesterol — did not increase the chance of death caused by heart disease. They also found that people with high levels of LDL cholesterol were less likely to die prematurely from other diseases, such as cancer. The results, published in the journal BMJ Open, are the latest from a series of studies that undermine accepted theories involving diet and health. So the german windmill companies are now creeping out of Germany and across the rest of Europe to increase their filthy gains. They are putting up 5x 287 metres turbines near us in the forests. All the animals are protected but sod it they dont matter and there are few voters. So….huge government expense for little to no benefit? How….great for Germany? Government expense? What is that? See, governments exist to make a profit for the party members. Citizen expense, my dear friend. The graph is horribly misleading. just check for yourself: toggle to 31 days and switch of conventionals. The graph is erasing 5 GW of biomass and 3.5 GW of hydro. It is also ignoring the demand curve, which basically follows the PV solar peaks. With “basically”, do you mean “sometimes”? Or “when the sun is shining”? Just look at the curve. You do know how to click on a link, do you? Sod, you are blessed with the bird of a brain. How does solar follow a consumption pattern WHEN THE SKY IS CLOUDY. The Greens have found a True Believer in you. You’ll believe ANYTHING. Chart is merely a plot of wind and sun to show wild fluctuations. Other sources not the point. 150	All plants and animals die below this level. C3 plants stop photosynthesizing below this level, that much is true, and given the condition persists, obviously die eventually. Why an animal should be affected is unknown to me. C4 plants – grasses incl. bamboo, maize, – are slightly less efficient than C3 plants (trees), but can photosynthesize right down to 0 ppm CO2. The animals die of starvation. What do plants photosynthesize with at 0 ppm CO2? You said all of them die at 150 ppm. No they don’t. C4 goes on to zero. That’s all I’m saying. And I don’t find that you are wrong but this might be one of those distinction without a difference things. There is very little research interest in this area but some have discovered that reproductive ability becomes iffy below 150 ppmv and no one has demonstrated that fecundity would be enough to avoid extinction. But then, who cares? This is a perfect gibberish statement. Do you have ANY notion of what photosynthesis means? Do you see a problem here with 0ppm CO2 levels? It is true that C4 plants, which make up 5% of plant species, are able to survive at lower CO2 levels than C3 types, but the difference is a modest one. C4 plants also benefit from elevated CO2 levels, just not as much. They also suffer from low CO2 levels, just not as much. A friend of mine did some experiments in CO2 greenhouses. He could never get the CO2 level to drop below about 220ppm. That is when the plants stopped trying to access it. He should retry with corn. Look at the facts. Bloomberg has a nice video. Coal is in free fall, gas will not replace it. You say… look at the facts..
world coal and gas from BP Energy review. No “free fall”, just a brief lull because renewables are destroying major economies. Once this anti-CO2 farce is destroyed by common sense, coal and gas will again continue to climb, as the world’s economies get back into a “progress” mode, rather than the “regressive green agenda” mode that you so badly propagandise. India just cancelled 16 Gw of coal. The facts are hurting your dreams? You would believe anything the Green scammers told you, wouldn’t you. Its NOTHING to do with wanting to be “Green” or reducing carbon footprint. Do some research on the REAL reason before you come sprouting your NONSENSE again, you moronic putz. !! I found the correct answer in under a minute, but decided I’ll leave it to you to pick the appropriate time to reveal it. In the mean time, let him eat mizu shingen mochi. India will still need and want coal, there is NO OTHER WAY they can get adequate electricity, and it will be a while before they can overcome the mess they have created for themselves. Looks like growth to me. so, you didn’t look anywhere except your green propaganda sites. 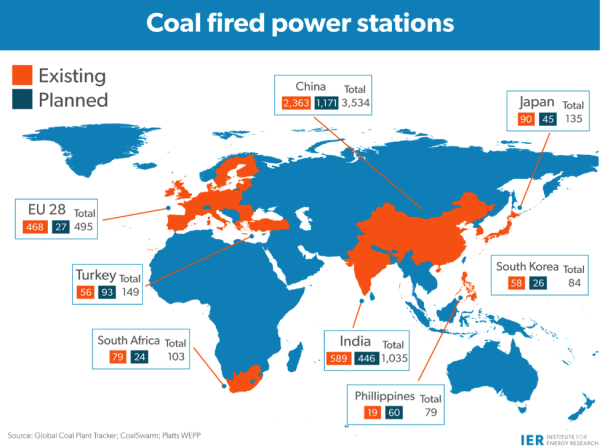 India has 446 PLANNED coal fired power stations. And you make a hoorah about 4 of them not going ahead… DOH !!! Don’t worry , little poppette, with the massive expansion in coal fired power over the next decades, there will be plenty of CO2 for ALL plant life. 446 planned…and you are making a hoorah about 4 not proceeding. 446 planned, and you are making a fuss about 4 being cancelled. Don’t worry, there will be plenty of CO2 for all plant life for a long long time to come. you do know the difference between a coal plant and a coal power station? So India is going to produce coal, WITHOUT burning it for electricity. You are seriously a funny little s.o.b. ! The world according to sod. Seeing differences where there are none, but not seeing them when he should. 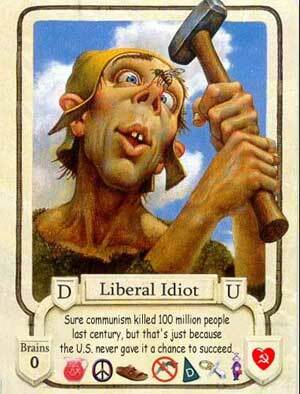 No, sod, a fly swatter and a hammer are NOT interchangeable. And he wonders why we don’t take him seriously. Wait. That’sa trick question, right? A coal plant has chimneys, cooler towers, turbines, burners. A coal power station looks exactly the same. Beats me. I give up. What’s the difference? i am sorry, obviously you are right and both words can refer to the same thing. so how many GW do those 500 planned power stations have? the 4 power plants that will not be build have 16 GW. According to this page, in December 2015, India had 554 coal plant projects totalling 617 GW. You may find the map at the top of the page rather upsetting, sod. It is rather obvious, that this source is talking about blocks. (about 1 Gw each). It is also obvious, that the 4 plants with 16 GW are plants with multiple blocks. Asia building over 500 this year alone.